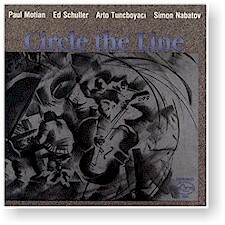 Прекрасный Американский Сlassical/Jazz Лэйбл (Massachusetts, Newton Centre). Цена дисков вполне доступна (ориентировочно 15-18у.е. в Москве). Диски характеризует отличное качество звучания и оригинальный фирменный дизайн. 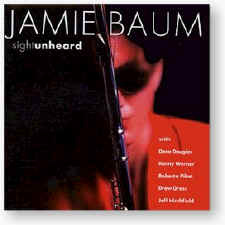 3031.2 Baum,Jamie Sight Unheard 30.10.01 Jamie Baum,flute, alto flute; Dave Douglas, trumpet; Kenny Werner, piano; Roberta Piket, piano; Drew Gress, bass; Jeff Hirshfield, drums. 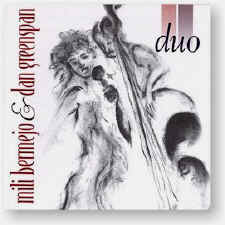 3035.2 Bermejo,Mili/Greenspan,Dan Duo Mili Bermejo, voice; Dan Greenspan, bass. 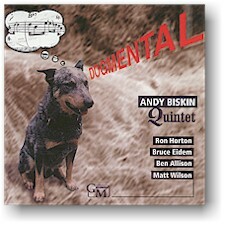 3044.2 Biskin,Andy Dogmental 15.08.00 Andy Biskin, clarinet; Ron Horton, trumpet; Bruce Eidem, trombone; Ben Allison, bass; Matt Wilson, drums. 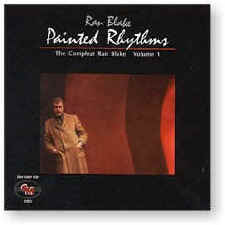 Also: Andy Eulau, bass; Bruce Hall, drums. Recorded on 14-15 July 1998 at Acoustic Recording, Brooklyn NY, and 17 June 1996 at Hillside Sound Studio in Englewood NJ. 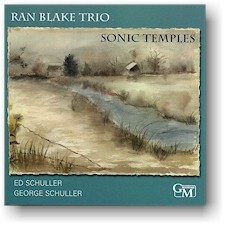 3046.2 Blake,Ran Sonic Temples 04.09.01 2CD: Ran Blake, piano; Ed Schuller, bass; George Schuller, drums. Guest artist on three tracks: Nicole Kämpgen, alto saxophone. Recorded on 3-4 January 2000, 7 July 2000 and 25 March 2001 at The Sonic Temple in Roslindale, Massachusetts, except Laura, recorded 18 May 1998 at the Church of the Redeemer, Chestnut Hill, Massachusetts. 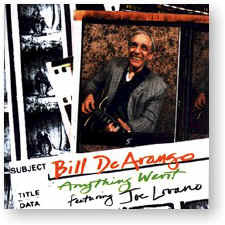 3027.2 De Arango,Bill Anything Went 30.10.01 Bill DeArango, guitar; Joe Lovano, tenor saxophone; Ed Schuller, bass; George Schuller, drums. 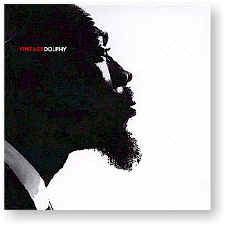 3005.2 Dolphy,Eric Vintage Dolphy 30.05.95 Eric Dolphy, alto saxophone, clarinet, bass clarinet; Edward Armour, trumpet; Richard Davis, bass; J C Moses, drums; Jim Hall, Barry Galbraith,guitar; Benny Golson, tenor saxophone; Phil Woods, alto saxophone; Don Ellis, Nick Travis, trumpet; Jimmy Knepper, trombone; Lalo Schifrin, Eddie Costa, piano; Warren Chiasson, Eddie Costa, vibraphone; Chuck Israels, Art Davis, Barre Phillips, bass; "Sticks" Evans, Charlie Persip, drums; John Oberbrunner, flute; Gloria Agostini, harp; Louis Krasner, Adrienne Galimer, Matthew Raimondi, Lewis Kaplan, violin; Joan Mulfinger, Samuel Rhodes, viola; George Mulfinger Jr, Michael Rudiakov, cello. 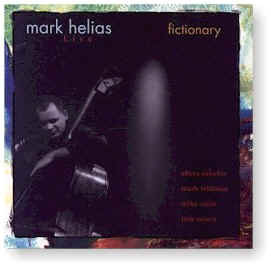 3037.2 Helias,Mark / Eskelin / Feldman Fictionary - Live 09.06.98 Mark Helias, bass; Mike Sarin, drums; Tom Rainey, drums; Ellery Eskelin, tenor saxophone; Mark Feldman, violin. 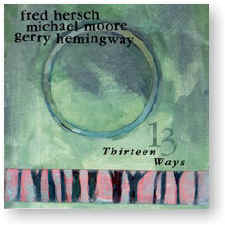 Gerry Hemingway, drums, percussion, harmonica. 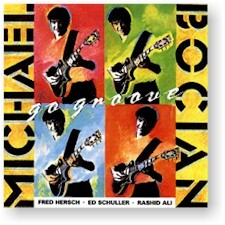 Recorded on 2 November 1996 at the Berlin Jazz Festival and 4 November 1996 at the Fasching in Stockholm, Sweden. 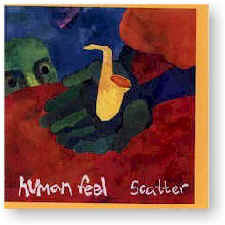 3024.2 Human Feel Scatter Jim Black, drums; Chris Speed, tenor saxophone; Kurt Rosenwinkel, guitar; Joe Fitzgerald, bass; Andrew D Angelo, alto saxophone. 3041.2 LaRose,Mary & Ledhead Walking Woman 14.09.99 Mary LaRose, vocals; Jeff Lederer, alto saxophone, tenor saxophone, bass clarinet, alto flute; Steve Swell, trombone; Jamie Saft, Hammond B-3 organ, farfisa, piano; Cameron Brown, bass; Matt Wilson, drums. 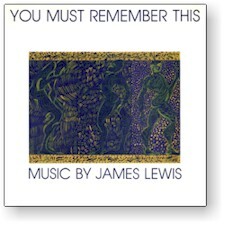 3011 Lewis,James You Must Remember This LP: Annetta Monroe, soprano; Art Woodbury, clarinet, soprano saxophone; Brian Coyle, flügelhorn; University of South Florida Jazz Ensemble I; Chuck Owen, director; Florida Universities Orchestra; Willis Page, conductor; University of Miami Chamber Singers; Lee Kjelson, director; University of South Florida Wind Ensemble; Jerry F Junkin, conductor; Robert McCormick, vibraphone; Mark Neuenschwander, bass; Craig Benson, drums; Tone Road Ramblers (John Finville, flute, piccolo; David Sasaki, clarinet, bass clarinet; Ray Sasaki, trumpet; Morgan Powell, trombone; Michael Udow, percussion). 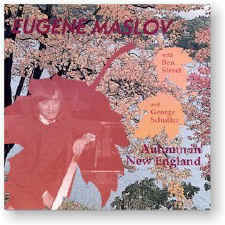 3022.2 Maslov,Eugene Autumn in New England 19.09.95 Eugene Maslov, piano; Ben Street, bass; George Schuller, drums. 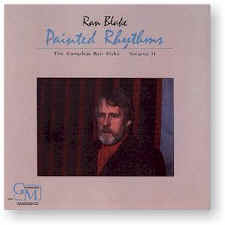 3025.2 Mingus Epitaph Rhythm Section Out of the Blue(s) The Session 2CD: Michael Formanek, bass; Ed Schuller, bass; Jack Wilkins, guitar; Joe Locke, vibes; Ronnnie Burrage, George Schuller, drums. 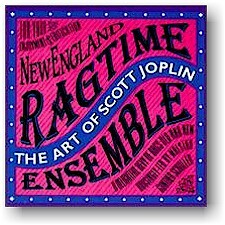 3030.2 New England Ragtime Ensemble Art of Scott Joplin 19.08.97 Stephanie Jutt, flute; Lynda Jacquin, oboe; Bruce Creditor, clarinet; Richard Sharp, bassoon; Pamela Paikin, horn; Thomas Smith or Bo Winiker, trumpet; Robert Couture, trombone; Rob Carriker, tuba; Pattison Story, Susan Carrai, violin; Leonard Matczynski, viola; Freya Oberle, cello; Paul Meyers, guitar, banjo; John West, piano; Edwin Barker, bass; Mark Belair, drums. 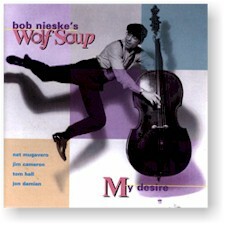 3020.2 Nieske,Bob My Desire 10.07.01 Bob Nieske, bass; Nat Mugavero, drums; Jim Cameron, alto saxophone, tenor saxophone, baritone saxophone; Tom Hall, tenor saxophone, baritone saxophone; Jon Damian, guitar. 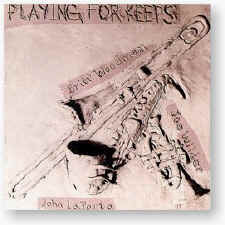 3023.2 Orange Then Blue Funkalerro 31.12.99 Matt Darriau, alto saxophone, soprano saxophone, flute, clarinet; Adam Kolker, Dave Finucane, soprano saxophone, tenor saxophone, baritone saxophone, flute, bass clarinet; Stan Strickland, flute; Allan Chase, soprano saxophone, tenor saxophone; Roy Okutani, Andy Gravish, trumpet; Ken Cervenka, trumpet, flügelhorn; Rick Stepton, trombone; Peter Cirelli, bass trombone, euphonium; Tim Ray, piano, synthesizer; Paul Del Niro, bass; George Schuller, drums, percussion; Russ Gold, percussion; Bob Weiner, percussion; Alain Mallet, synthesizer, shakers. 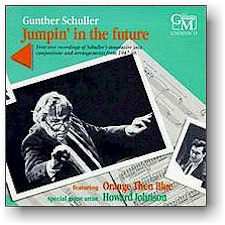 3006.2 Orange Then Blue Music for Jazz Orchestra John La Porta, clarinet; Orange Then Blue (Matt Darriau, alto saxophone, soprano saxophone, tenor saxophone, baritone saxophone, flute, clarinet, Irish flute, penny whistles, slide whistles; Dave Mann, soprano saxophone, alto saxophone, flute, clarinet; Adam Kolker, soprano saxophone, tenor saxophone, flute, clarinet, bass clarinet; Dave Finucane, soprano saxophone, tenor saxophone, baritone saxophone, flute, clarinet, bass clarinet, slide whistle; Roy Okutani, Kerry MacKillop, Tim Hagans, Tom Smith, Jeff Conrad, Paul Perfetti, trumpet; Bert Stranderg, Gary Valente, Dave Harris, trombone; Peter Cirelli, bass trombone, euphonium; Bruce Barth, piano, keyboards; Dave Clark, Bruno Råberg, bass; George Schuller, drums, percussion; Pat Hollenbeck, percussion. 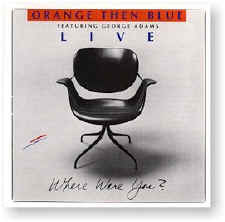 3012.2 Orange Then Blue Where Were You? 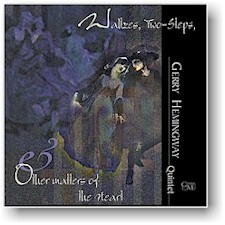 George Adams, tenor saxophone; Matt Darriau, alto saxophone, clarinet, soprano saxophone, slide whistle, pop guns; George Garzone, tenor saxophone; Dave Finucane, tenor saxophone, soprano saxophone, baritone saxophone, clarinet, bass clarinet; Adam Kolker, soprano saxophone, tenor saxophone, flute, clarinet; Roy Okutani, Andy Gravish, Greg Hopkins, Ken Cervenka, Matt Simon, trumpet; Rick Stepton, Curtis Hasselbring, trombone; Peter Cirelli, bass trombone, euphonium; Howard Johnson, tuba; Bevan Manson, keyboards; Bruce Barth, piano; Dave Clark, bass; George Schuller, drums, percussion; Russ Gold, percussion. 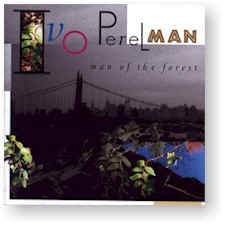 3029.2 Perelman,Ivo Man of the Forest 17.09.96 Ivo Perelman, tenor saxophone; Joanne Brackeen, piano; Mark Helias, bass; Billy Hart, drums; Guilherme Franco, cuica, timba, congas, pandeiro, zabumba, bells; Cyro Baptista, pandeiro, cuica, triangulo, gongs, caxixi, ceramic drum, bells; Nana Vasconcelos, caxixi, bells, shells, voice; Dom Salvador, accordion; Duduka da Fonseca, caxixi, triangle, wood blocks. 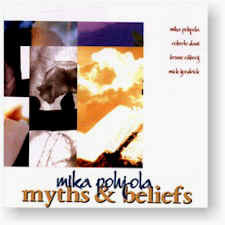 3032.2 Pohjola,Mika Myths & Beliefs 13.11.01 Mika Pohjola, piano; Roberto Dani, drums; Bruno Råberg, bass; Mick Goodrick, guitar. 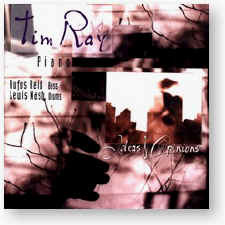 3021.2 Ray,Tim Ideas & Opinions Tim Ray, piano, keyboard; Rufus Reid, bass; Lewis Nash, drums; Rob Reale, guitar; John Lockwood, bass; Jim Gwin, drums. 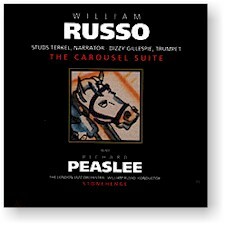 3017.2 Russo,William / Peaslee,Richard Virtuosity: A Contemporary Look Gary Smulyan, baritone saxophone; Philip A Smith, trumpet; Harvey Phillips, tuba; Manhattan School of Music Jazz Ensemble, London Jazz Orchestra, ensemble; William Russo, Bruce Coughlin, Arthur Weisberg, bass. 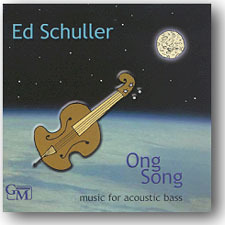 3047.2 Schuller,Ed Ong Song: Music for Acoustic Bass 05.02.02 Ed Schuller, bass. 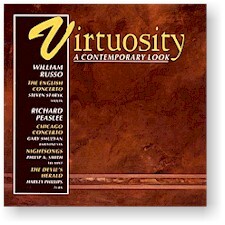 Recorded in 1996, 1998, 2000, and 2001 in various locations. 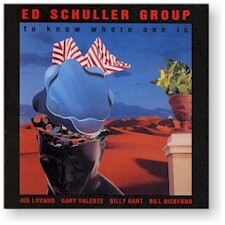 3019.2 Schuller,Ed To Know Where One Is Joe Lovano, tenor saxophone, soprano saxophone; Gary Valente, trombone; Billy Hart, drums; Bill Bickford, guitar; Ed Schuller, bass. 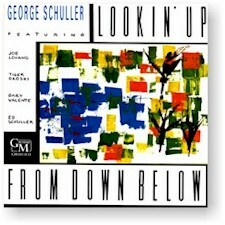 3013.2 Schuller,George Lookin' Up from Down Below Tiger Okoshi, trumpet; Gary Valente, trombone; Matt Darriau, soprano saxophone; Joe Lovano, George Garzone, tenor saxophone; Ben Sher, Bruce Arnold, guitar; John Lockwood, Ed Schuller, bass; George Schuller, drums. 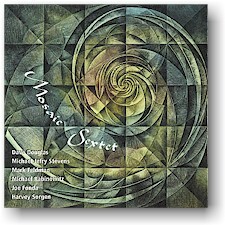 3042.2 Simion,Nicolas Luca's Dream Nicolas Simion, soprano saxophone, tenor saxophone, kaval, percussion; Ed Schuller, bass; Patrice Heral, drums, tablas, percussion; Victor Jones, drums. 3039.2 Thorson,Lisa Resonance 09.03.99 Lisa Thorson, vocals; Tim Ray, piano; David Clark, bass; George Schuller, drums; Cercie Miller, alto saxophone, tenor saxophone. 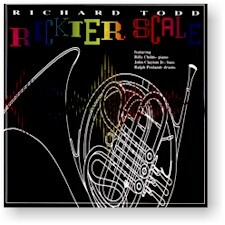 3015.2 Todd,Richard Rickter Scale 31.08.99 Richard Todd, French horn; Billy Childs, piano; John Clayton Jr, bass; Ralph Penland, drums. 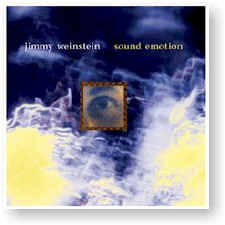 3036.2 Weinstein,Jimmy Sound Emotion 07.07.98 Chris Cheek, tenor saxophone; Elie Massias, acoustic guitar, electric guitar; Masa Kamaguchi, bass; Jimmy Weinstein, drums, percussion. 3038.2 Whitecage,Mark Split Personality Mark Whitecage, alto saxophone, soprano saxophone, alto clarinet, soprano clarinet; Dominic Duval, bass; Jay Rosen, drums. 3026.2 Woodman/Wilder/LaPorta Playing for Keeps Joe Wilder, trumpet; Britt Woodman, trombone; John La Porta, tenor saxophone, clarinet; Jack Wilkins, guitar; Ed Schuller, bass; George Schuller, drums.